Don’t know what tool to drill into wood, masonry, or stonework with? For materials other than masonry you should look among regular drills. As for masonry, there are two general types of drills suitable for drilling in it: hammer drills, and rotary hammers. While rotary hammers are more powerful and durable, they are meant for more professional and massive tasks. If you need a similar tool with lower price for your home applications, hammer drills are a great choice for you. They come with different features, so you surely will find something for your exact needs. Here, we will try to make your task easier by presenting 8 hammer drills/drills/drivers we think are the best tools you can find on Amazon. Let’s get started! 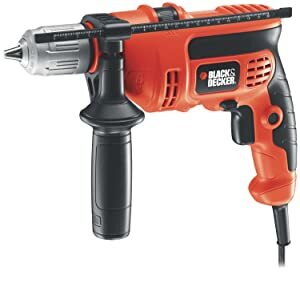 The first tool on our list is the DR670 by Black+Decker. Its plastic body makes it a compact and lightweight drill/driver for applications in tight areas and reduced operator fatigue. It is a great choice for such tasks as drilling into wood and metal plastic or screw driving thanks to its 11-position clutch providing precise control over the tool. 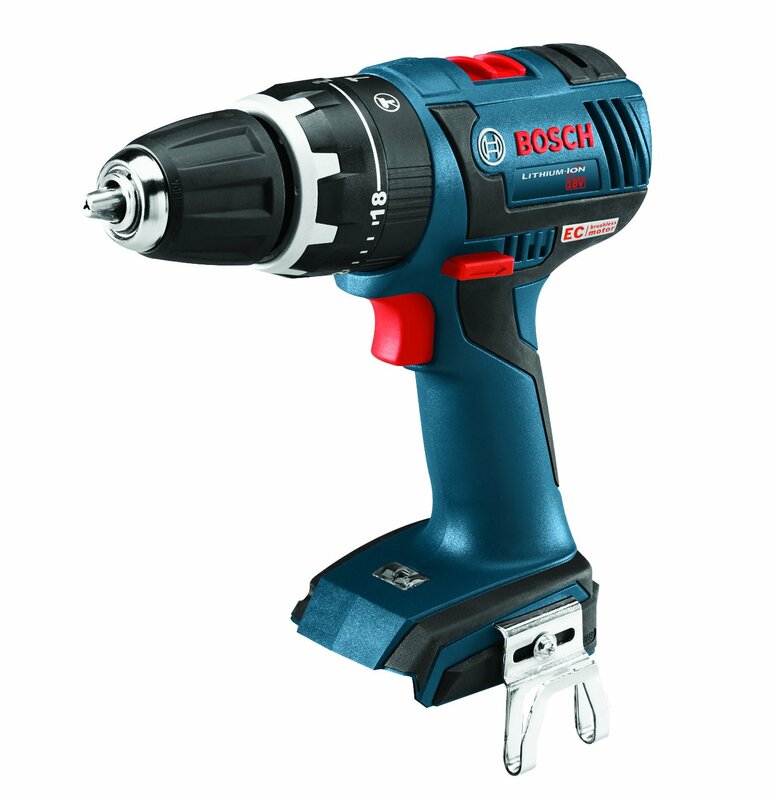 The motor of the drill/driver features variable speeds to allow countersinking without damaging the material. Longer life of the tool is ensured by its high-quality and durable Li-Ion 20V battery, which is light and compact. 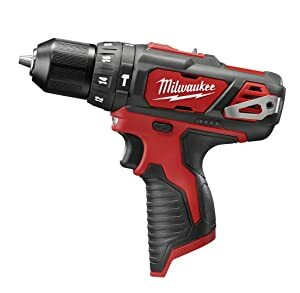 The tool comes with a 2-year warranty and besides a battery, charger, and the drill/driver itself includes a double-ended bit. All-plastic body for decreased weight and less operator fatigue. The drill/driver is compact, allowing it to be used in narrow areas and corners. Convenient 11 position clutch makes performing your drilling and screw driving tasks more precise and efficient. The variable-speed motor won’t allow the drill/driver to damage materials with help of countersinking. Durable 20V Li-Ion battery for longer life and work time. The kit comes with not only a battery, charger, and the tool itself but a double-ended bit as well. The item is shipped to a selected list of countries outside the United States, which might make its purchase difficult for some regions. The kit comes without a case or carry bag. Charger only supports 120V input. The next tool on our list is the M12 hammer drill/driver which is suitable for any individual looking for compactness and efficiency. Delivering 275 in/lbs. of torque, 0-400/0-1500 RPM, and 0-22500 BPM, the hammer drill/driver is the best tool in its class. Head-length of just 7-1/2 inches and weight of only 2.3 lbs. make it extremely comfortable and easy to use. Its all-metal single sleeve ratcheting chuck features tight fit grip so you won’t have to stop your work to readjust it. Built-in LED light contributes to its comfort, allowing you to work in dark or low-light areas or corners. Besides, the tool features a battery charge gauge for more convenient battery management. The tool comes with a 5-year warranty. An extremely compact and efficient hammer drill/driver for any screw driving and drilling tasks. The tool can be easily used in confined areas thanks to its head-length of just 7-1/2 inches. All-metal single sleeve ratcheting chuck for very tight bit grip. The tool is suitable for applications in dark or low-light areas through built-in LED light. The kit features only the hammer drill/driver itself. The HDS182B hammer drill/driver is engineered to perform the widest range of masonry drilling and screw driving applications. Its brushless motor features 2x motor life and great efficiency for longer runtime with completely no maintenance. The tool’s Dura shield housing complements the toughness and durability of HDS182B. Its high-performance motor delivers torque of 442 in/lbs., increased speed of up to 1700 RPM and more torque-oriented speed of up to 500 RPM. For convenient speed regulation, the tool features 18+1 clutch settings for accurate control. Besides, the tool has hammer mode for masonry materials. Built-in LED light contributes to its convenience by making applications in darker areas easier. Being the most compact tool in its class, the HDS182B outperforms its competitors in tough and heavy-duty tasks. The kit comes with the tool itself, 4x bit tip holder, 4-piece bit tip set, magnetic bit tip holder, a belt clip, and 1-year limited warranty. 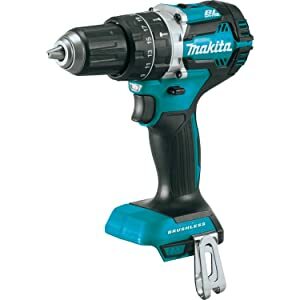 The hammer drill/driver features a brushless motor with 2x more life compared to standard motors. Despite its compactness, the device has a powerful motor with 442 in/lbs. of torque and two speed modes (high-speed (0-1700 RPM) and torque (0-500 RPM)). The tool features hammer mode for masonry. Precise speed regulation thanks to its 18+1 clutch settings. LED light for work in low-light corners and areas. Quite a rich package of the tool. Batteries and chargers for the tool are sold separately. The 1-year warranty is not so much compared to the other kits on our list. The 18V LXT hammer drill/driver features a high-performance BL brushless motor providing 530 in/lbs. of torque, which is electronically controlled for optimized battery use and up to 50% longer run time per charge. The brushless motor runs cooler, increasing its lifetime. The speed of the motor is dynamically changed based on the demands of the current application. Besides, it features 2 speeds (0-500 and 0-2000 RPM, 0-7500 and 0-30000 BPM), making it a great choice for a variety of masonry drilling and screw driving applications. The LXT hammer drill/driver weighs only 4.2 lbs. and features a LED light, making it extremely compact and comfortable for any situation. The battery of the tool is one of the most fast-charging batteries in its category, allowing you to spend more time working than waiting for the device to charge. The tool comes with a 3-year limited warranty. Brushless motor for decreased wear and longer lifetime. The motor is efficiently controlled by tool’s electronics for up to 50% longer runtime. The speed of the motor changes in accordance with the load. It features 2 speeds for any masonry drilling and screw driving tasks. Weighs only 4.2 lbs. for decreased fatigue. The tool has built-in LED light for application in dark areas. Fast-charging battery for reduced charging time and more work time. The tool comes bare, i.e. without additional accessories like batteries, chargers, or drill bits. The DCD9508 is a versatile tool featuring a 3-speed (0 – 500, 0 – 1250, 0 – 2000 RPM; 0 – 8500, 0 – 21250, and 0 – 34,000 IPM) and 450-unit-watts-out (UWO) high-performance motor, making it suitable for the widest range of screw driving and drilling applications. The management of the speeds is extremely easy thanks to the tool’s 22 clutch settings. The self-tightening ½-inch chuck is notable as well, allowing for bit grip strength adjustment on the go without your intervention. Weighing just 3.9 lbs. (without battery), the tool won’t put unnecessary strain on your wrists. Besides, its LED light provides illumination in low-light areas. The tool comes with a 360-degree side handle, a manual, 90-day money-back guarantee, and 3-year limited warranty. High-performance, 450 UWO, 3-speed motor for a wide diapason of drilling and driving applications. Easy management of speeds through 22 clutch settings. Your bits won’t fall off or slip thanks to the self-tightening ½-inch chuck. Light weight of 3.9 lbs. (without battery) for increased comfort and reduced operator fatigue. You can work even in darkness through tool’s LED light. Comes with a 360-degree handle for more convenient application. 3-year limited warranty and 90-day money-back-guarantee. The kit comes bare without any batteries, chargers, drill bits, or carry bags. The P214 One+ hammer drill is designed for easy driving into masonry. Its high-performance motor with 600 in/lbs. of torque and 24000 BPM allows that quite efficiently. The tool is widely adjustable through its 24-position clutch and 2-speed gearbox for any masonry and drilling task you need to accomplish at home. The hammer drill is designed for extreme comfort and has a rubber grip for precise and convenient handling. You can even attach the included plastic handle to make the use of the tool more sparing for you. Besides, the P214 One+ has a magnetic bit tray at its base to carry necessary bits with you, so you won’t have to go back and forth between your jobsite and workbench. The tray can carry screws as well. The hammer drill also has LED light to make work in darker areas more convenient. The tool is compatible with any Ryobi battery as it is a part of Li-Ion One+ family. The device comes with a 3-year limited warranty. Extremely efficient in hammering tasks thanks to its powerful 2-speed motor providing 600 in/lbs. of torque and 24000 BPM. 24-position clutch for easy adjustment. Rubber grip for convenient handling. The tool comes with an attachable plastic handle for even more comfort. Magnetic bit tray to have bits or screws on hand. You won’t even have to leave the worksite to get another bits! LED light to illuminate darker spots and corners. 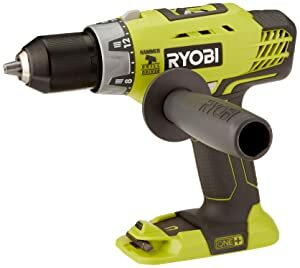 Compatibility with any of Ryobi’s batteries. The tool doesn’t come with a charger, battery, or drill bits. 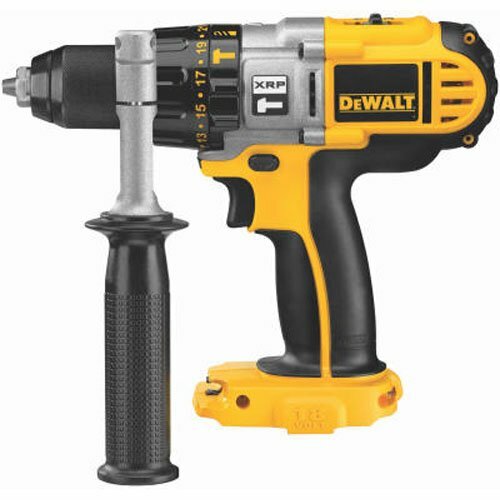 The next hammer drill on our list is the Dewalt DCD996B with brushless motor. It features up to 57% more runtime compared to brushed motors. The excellent bit gripping strength is ensured by its heavy-duty ½-inch ratcheting nitro-carburized metal chuck with carbide inserts. The tool features a 3-mode LED light with 20-minute shutoff for comfort during applications in low-light spaces. The high-performance motor delivers 0-38250 BPM, making it extremely efficient for quick drilling into masonry. You can optimize the performance of the tool with its 3-speed high-performance transmission. The tool comes with a 360-degree side handle and belt hook for increased comfort, and 3-year limited warranty. Durable brushless motor delivering up to 57% more lifetime than brushed units. The powerful 3-speed motor provides up to 38250 BPM for fast drilling in any type of masonry. Heavy-duty ½-inch ratcheting nitro-carburized metal chuck with carbide inserts for strong bit grip. 3-mode LED light with 20-minute shutoff makes the tool convenient for use in dark areas. 360-degree side handle for more comfort in use. Again, the tool comes without a charger and battery, so you will have to buy them separately. 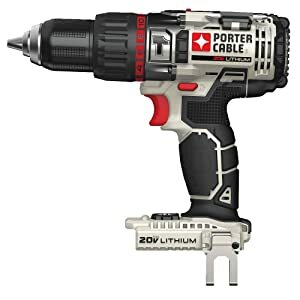 The last hammer drill on our list is high-speed Porter-Cable PCC620B. Its high-performance motor is capable of delivering up to 27200 BPM. The tool has a 2-speed gearbox (0-400 and 0-1600 RPM) for a wider range of applications. You can be sure that your bit won’t fall out or even slip thanks to the tool’s ½-inch metal ratcheting chuck with 23 chuck settings. You will never run out of battery unexpectedly as the tool has a battery gauge for efficient battery management. Besides, you can illuminate darker worksites with the built-in LED light. The tool comes bare and features a 3-year limited warranty. High-performance motor providing 27200 BPM for a wide variety of drilling applications. 2-speed transmission for more flexible operation under different workloads. ½-inch metal ratcheting chuck with 23 settings for tight bit grip. The tool has a battery gauge for more efficient charge management. LED light to brighten darker areas for comfortable work. The hammer drill comes bare and doesn’t include batteries, chargers, drill bits, or other accessories. What is the difference between hammer drills, drills, and impact drivers? Hammer drills do pretty much the same as regular drills but can drill into concrete and masonry. Impact drivers are used for fastening screws and bolts, and some high-performance models can unscrew car lug nuts. All these types of tools have their own purposes, so pick the one you really need. What is better: a hammer drill or a rotary hammer? While both tools generally are designed for the same purpose, they work differently. In a hammer drill, the pounding is produced by two disks with ridges, movement of which along each other causes the chuck to slam back and forth. In the case of rotary drills, the pounding action is created by a piston driven by a crankshaft. We’ll not dive too deep into the mechanics of both devices, but rotary hammers are generally more powerful and efficient but more expensive and bulkier as well. If you are looking for a home tool, a hammer drill will be the best choice for you. 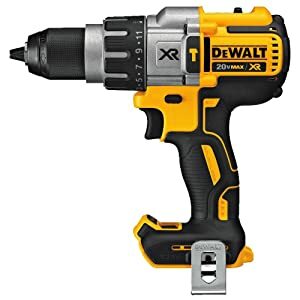 Can a hammer drill be used as an impact driver? If the tool is not a two-in-one hammer drill/driver, no. Hammer drills are made for cutting into masonry by pounding into it, so you won’t be able to unscrew bolts and screws. You’ll just damage them and maybe the hammer drill as well. Some of the aforementioned tools are two-in-one hammer drills/drivers. By now, you should at least understand what specifications of hammer drills/drills/drivers to look for. As you could see from the reviews, the difference between the tools is not only about their purpose and features but their accessories as well. If you don’t want to spend money on buying chargers or batteries, look for models that come with them. If you need more efficiency, performance, and power, choose a tool with the most appealing characteristics. Don’t forget about your requirements for the tool’s compactness, weight, and additional features like LED lights, ergonomic grips, or combined hammer drill/driver capabilities. The main point is to choose the model which suits your needs the best. We wish you to have a nice purchase!